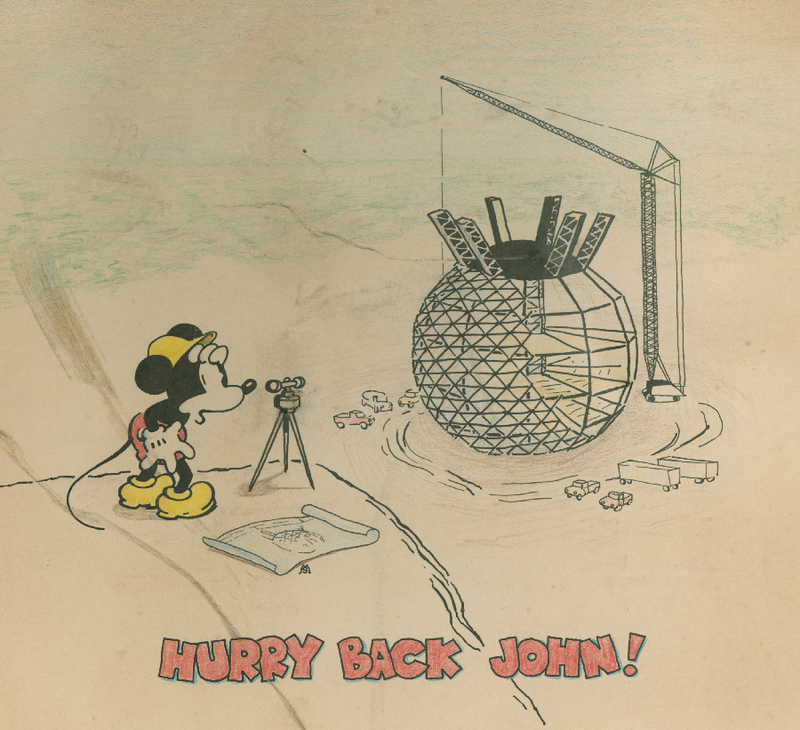 This is a hand-drawn get well soon card created by an Imagineer and delivered to another colleague working on the Walt Disney World Resort and EPCOT center. 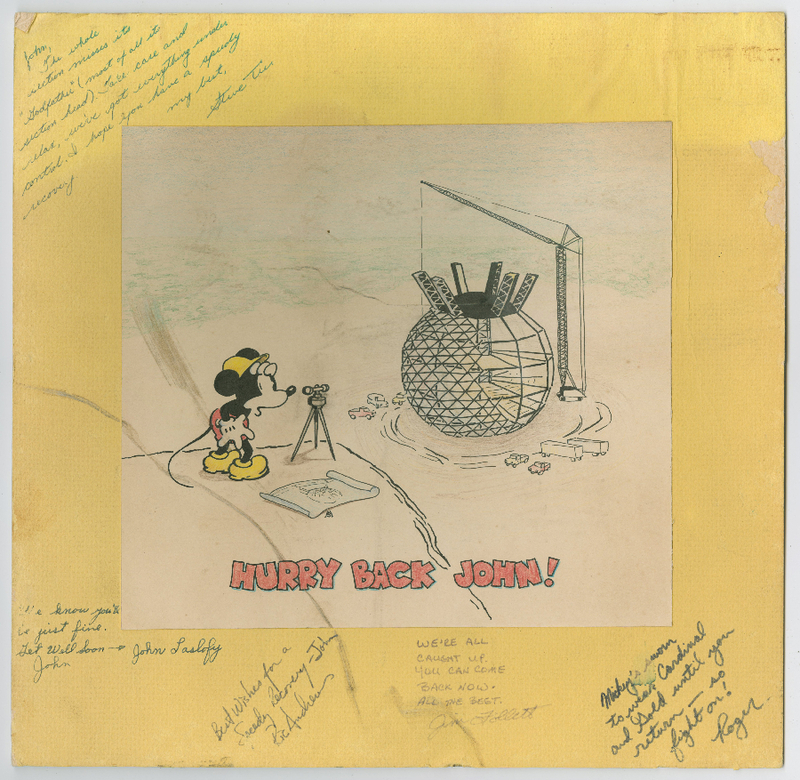 We're not sure of the actual artist or recipient, but the piece features a great image of Mickey building the iconic EPCOT globe and his hand-signed by five other Imagineers. The overall matted piece measures 13.5" x 13.75" with the drawing measuring 9" x 9.75" and mounted to the yellow board. The piece is in acceptable condition with some staining and discoloration.